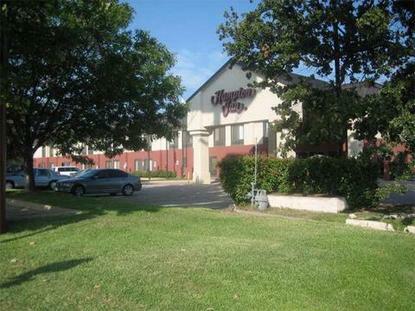 Hampton Inn Lewisville hotel is 26 miles north of Dallas, Texas, located in Lewisville, Texas at the corner of I-35E and Fox Ave. Exit 451. Our Dallas, Texas area hotel is less than 10 minutes from Dallas Fort Worth Airport and next door to the Cracker Barrel. Nearby attractions are shopping, golf, concerts, boating, fishing, camping, skiing, basketball, hockey, and baseball. Within 3 miles of Hampton Inn Lewisville hotel you can dine at Chilis Bar and Grill, Del Monico, Lubys, or Olive Garden. Our Hampton Inn Lewisville hotel features 54 hotel rooms, elevator, outdoor pool, hospitality suite for up to 25 people, non-smoking floor, and exercise gym. Amenities at our Hampton Inn Lewisville hotel in the Dallas, Texas area include complimentary continental hot breakfast, in-room hair dryer, voicemail, and TV with cable and also in room HSIA. We also offer hotel rooms with whirlpool, connecting rooms, cribs, and irons. Guest laundromat, meeting/banquet facilities, and audio visual equipment are available at Hampton Inn Lewisville hotel. We love having you here at the Hampton Inn Lewisville hotel in Texas.